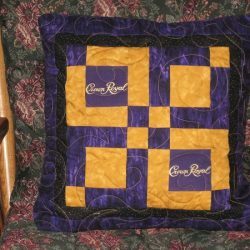 If you’ve been saving Crown Royal Bags but haven’t figured out what to do with them, I have the perfect solution. I can make your Crown Royal Bags into a beautiful keepsake quilt using high quality cotton fabrics in purple and gold to frame your bags. 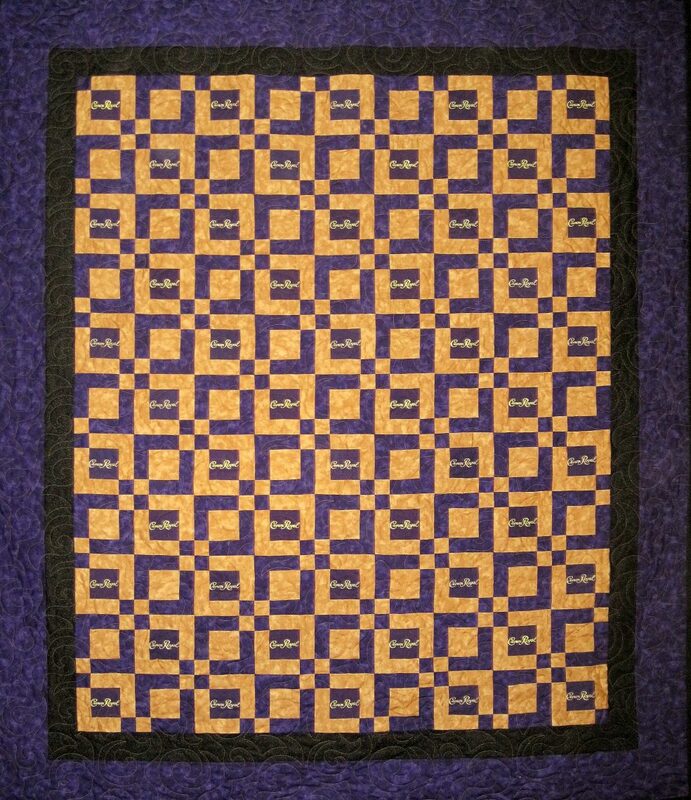 Then I quilt the quilt on my longarm quilting machine in a densely quilted design that will preserve your quilt for a lifetime. 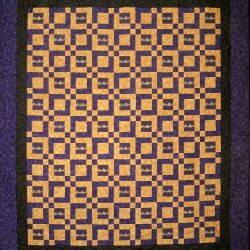 Quilts can be made in various sizes from wallhanging to king-sized. 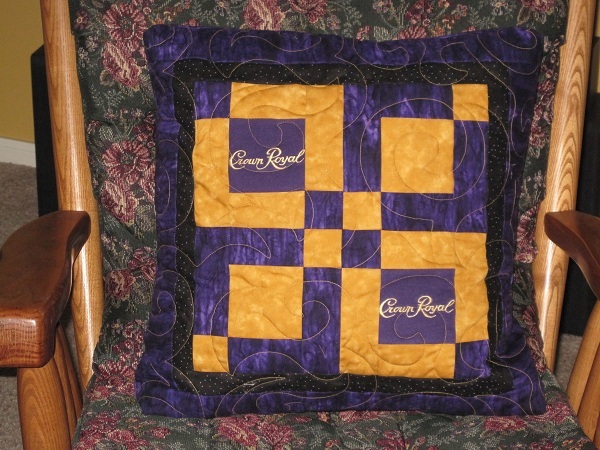 I also make Crown Royal pillows. 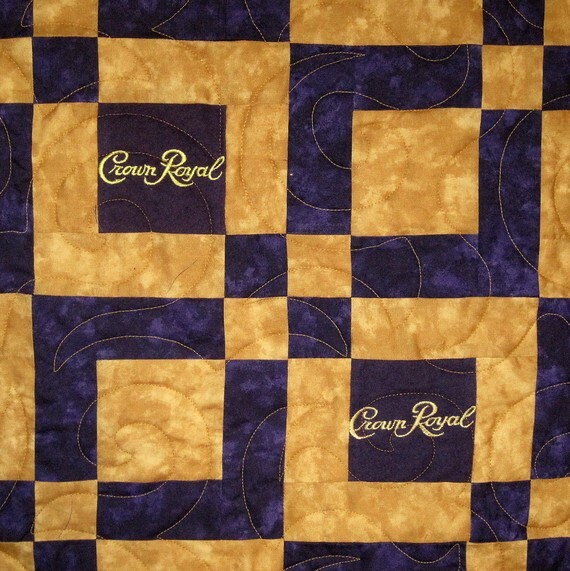 Crown Royal quilts make great gifts for Father’s Day, birthdays and Christmas. Check my pricing page for further details. Once you decide what size you want, the process is simple. Just print out the order form and mail it along with your Crown Royal bags and $100 deposit to the address on the order form. Click on the pictures below for close-up views.